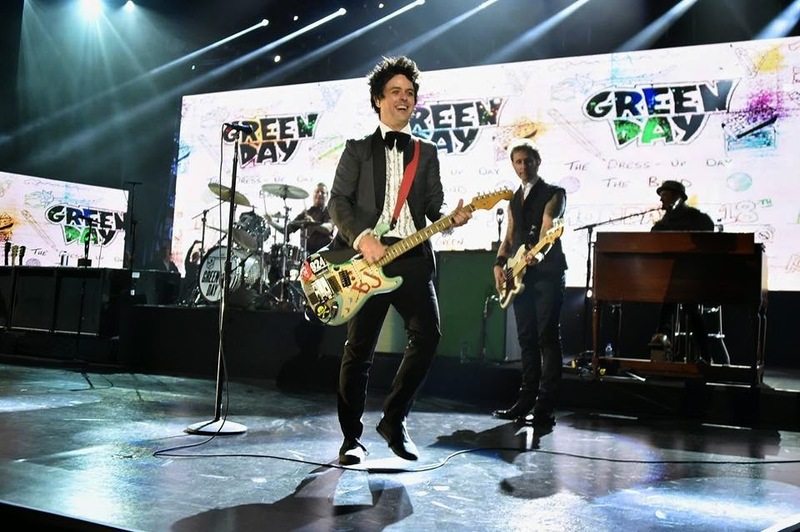 Green Day were inducted into the Rock And Roll Hall Of Fame at the 30th annual ceremony in Cleveland on Saturday. "It's like my record collection is actually sitting in this room," said Billie Joe Armstrong during his acceptance speech after an introduction by Fall Out Boy. "I love rock & roll music. I have from the first moment I opened my eyes and took my first breath." The San Francisco Bay-area band were inducted alongside Stevie Ray Vaughan and Double Trouble, the Paul Butterfield Blues Band, Joan Jett and the Blackhearts, Lou Reed, Bill Withers, Ringo Starr and the “5” Royales. Green Day returned to the stage late in the evening to perform as part of Ringo Starr’s induction. The group warmed up for the Rock Hall event with a marathon 3-hour club show at Cleveland’s House Of Blues on Thursday.